5/16″ (8 mm) thick, one-piece, solid, white colored, black core phenolic seat. Frame, support legs, flanges and bracket are type 304 satin finish stainless steel. Features a selflocking mechanism. 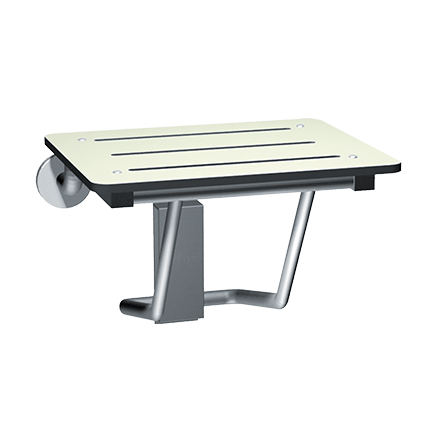 Seat measures 18″ (457 mm) wide and projects 16″ (406 mm) from wall.